8,315 sq. ft. office on the sixth floor of an attractive corner building with an impressive double height reception and 24 hour commissionaire. The building is located in the North-East corner of Finsbury Square, bordering Shoreditch and The City. There are excellent transport links nearby and the introduction of a Crossrail entrance at Moorgate in 2019 will further benefit the area. The location benefits from many bars, restaurants and retailers such as Modern Pantry, Flight Club and the rooftop Aviary bar. 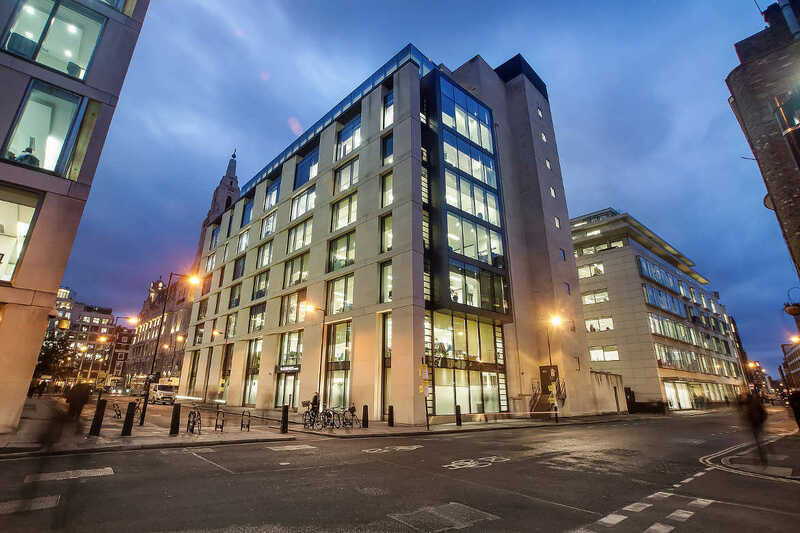 26 Finsbury Square provides high quality fitted out office space that offers a plug and play solution. The fit out consists of a large reception area, large boardroom overlooking Finsbury Square, large open plan office, small open plan office, seven private offices/meeting rooms, a kitchen area and a large comms room. The office is available for immediate occupation – £49.50 per sq. ft.